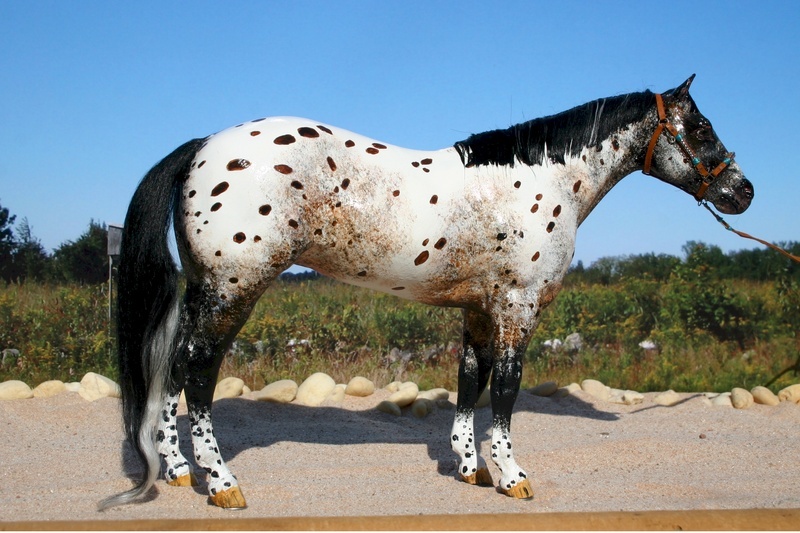 Bay leopard Appaloosa mare. Breyer Stud Spider repainted/haired for Sue Hutzel to resemble my prized Beswick Appaloosa model. She is as glossy as he is though it does not show in the pic! Owned by Sue Hutzel, shown for her by Tardis Stables.